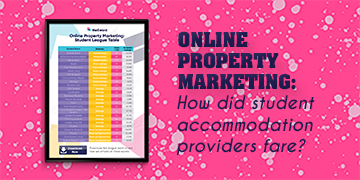 You’ve worked hard to plan and launch a full online strategy to promote your property business, but is it working as effectively as it should? The success of your digital strategy lies with the execution, of course, but to gain true value from your campaign performance, monitoring needs to be built in. Tracking and monitoring metrics is invaluable in getting the best results from your marketing efforts. Taking a detailed look at site performance will allow you to tailor your campaign and make improvements in real time, as well as equip you with the information you need to maximise results for future promotions. 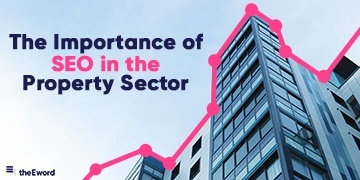 FOR ACTIONABLE DIGITAL MARKETING TIPS THAT WILL INCREASE YOUR DEVELOPMENT’S OCCUPANCY, DOWNLOAD OUR FREE PROPERTY MARKETING GUIDE HERE TODAY. Google Analytics provides some of the most detailed property marketing tools around – so understanding how to use them should be a non-negotiable component of your strategy. It provides beneficial metrics on your audiences’ behaviours and location, best performing pages and overall website traffic. What’s more, it’s completely free and works just as effectively for small companies with low-budget campaigns as it does for larger promotions. Analytics reporting can be quite daunting when you don’t know where to start, so we've prepared this article to help you get a grasp of it. So, let’s get started. 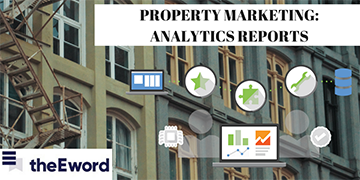 This report will show you how much traffic your site is obtaining from referrals, social, email, and direct and organic search – all of which are crucial to understand in relation to your property marketing efforts. It will tell you how people are finding their way to your site and which key words are leading them there. 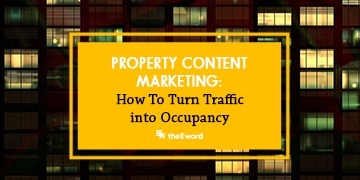 Source reports will segment where your visitors come from and how they’ve found your property content. It will allow you to determine what geographical areas your audience are in and which channel types pull in the most traffic, so you can consider where to put in extra effort for leads. It’s important to understand where your site audience spend most of their time and how they got to the content. User Flow will show you the most travelled pathways that users take and the most frequented pages. Users are most likely to start on the homepage, but where they go after that will tell you what each user is interested in which, in turn, will help you make relevant changes to the site. You shouldn’t solely focus on traffic – you need to make sure your site is pulling visitors back in and down the conversion funnel. Repeat visits usually convert to enquiries so they’re highly valuable. If you notice that a particular page has a high bounce rate, it’s time to look at what would be causing your audience to leave the site and potentially not return. Consider updating the content to keep people interested. Exit rates are not often the first thing marketers will look at when monitoring performance and sometimes confuse it with bounce rates. Google Analytics will show you the last viewed page in each user’s session so you see the site’s outflow. It highlights the pages that are pushing users away from the site so you can focus on improving the content and usability, if needed. This report will show what actions users have taken within your site and split it into tiers – category, action, label and value. Events could include things like viewing videos, clicking links, brochure downloads or completing enquiry forms for a new property. Monitoring these events will show you what resonates with your audience and give you an idea of how to improve their on-site experience. If you’d like to learn how Google Analytics can help drive website performance and improve sales, make sure that you download our Ultimate Guide to Online Property Marketing for more information.